Return, the sophomore release by veteran Southern California rockers, Blue Plasma Orb, is infused with energetic and edgy blues-tinged indie rock, including clever commentary about “the establishment” and relationships that makes the album a compelling listen. The addition of Martin Gerschwitz’s keyboards completes the band’s ‘70s garage-rock sound. 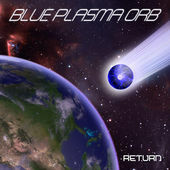 Return by Blue Plasma Orb is a “return” to what made rock music great—real, skilled musicians playing raw, evocative, not overproduced tunes with gritty riffs and driving bass lines. 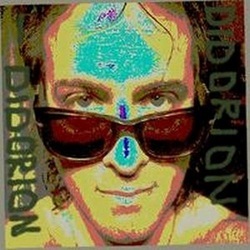 ﻿﻿﻿I discovered Didorion, an alternative rock artist from Hasbrouck, New Jersey, on Reverb Nation. And he graciously agreed to share a few excellent cuts with the RTH gang. Listen here, and check out his Reverb Nation page at http://www.reverbnation.com/didorion. 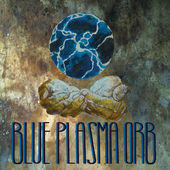 We here at the Rock Tale Hour are always on the lookout for good up-and-coming rock bands, so here's our quick review of Blue Plasma Orb. These four veteran Southern California rockers recently released their self-titled debut album, and any of you who love straight up, blues-tinged indie rock will not regret taking a deep dive. With its driving guitar riffs, guttural vocals, and hooky melodies, this twelve-track CD is worthy of a spot in the regular rotation of your music library. Our favorite cuts include the hard-driving rocker, “Lighting N’ver Strikes Twice,” about the rarity of finding true love, and “Whatcha Gonna Do [at the End of the World],” about the forthcoming zombie apocalypse (Walking Dead fans rejoice!). Blue Plasma Orb rounds out the album with mellow tracks such as “Summer Girl” and the reggae-infused “Lazy Days” and “Fire and Ice,” which feel like the soundtrack to a day at the beach. Treat yourself to a generous helping of Blue Plasma Orb. 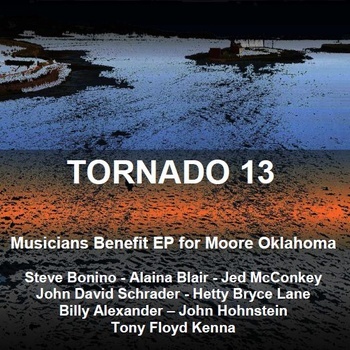 Great musicians generously pouring their hearts and music out to the victims of the Moore, Oklahoma tornado. Eight beautiful songs spreading the message of love and hope. This is music worth buying even if the proceeds weren't going to such a worthy cause. 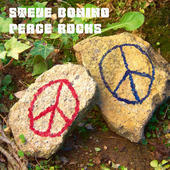 Steve Bonino’s Peace Rocks is a riff-based, vocally driven rock album that seeks a resurgence of anti-establishment ideals and pays tribute to the counterculture of the past with a modern twist. Lyrically, the album is loaded with deep meaning and embodies a 21st Century spin on the peace movement, free love, and civil unrest of the ‘60s. Peace Rocks makes you realize that despite 50 years of progress, society’s challenges and unrealized ideals haven’t changed much. Peace Rocks is as great musically as it is inspiring lyrically. Although in capturing a retro feel that matches the message, the music doesn’t break any new ground. Bonino is a seasoned vocalist, and his Beatle-esque harmonies and energetic guitar licks on “True North” match the passion and imagery of a man “heading where love is” and “risking it all.” The album has infectious riffs like the acoustic bass-line phrase that launches “Paradise Lost” and the dynamic acoustic and electric riffs in “Big Brother.” This is an album that stays in your head, and your head is happy it’s there. Peace Rocks ROCKS!